Have you considered your Chapman legacy? 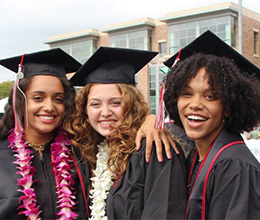 Many of our Chapman Family members find it meaningful to include Chapman in their estate plans. 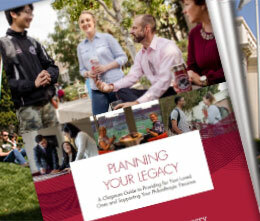 If you have any questions about how to plan thoughtfully through a legacy gift, please contact David B. Moore at (714) 516-4590 and dmoore@chapman.edu or Lindsey Jacobs at (714) 628-7311 and ljacobs@chapman.edu. We are glad to assist. 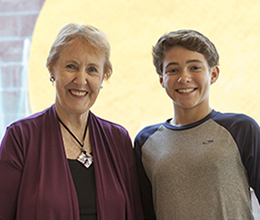 Learn how others have made an impact on Chapman and our mission through their generous legacy gifts. Explore the many benefits of legacy planning.